The expression “all roads lead to Rome” has a surprisingly literal point of origin, located near the Temple of Saturn in the ancient Roman Forum. 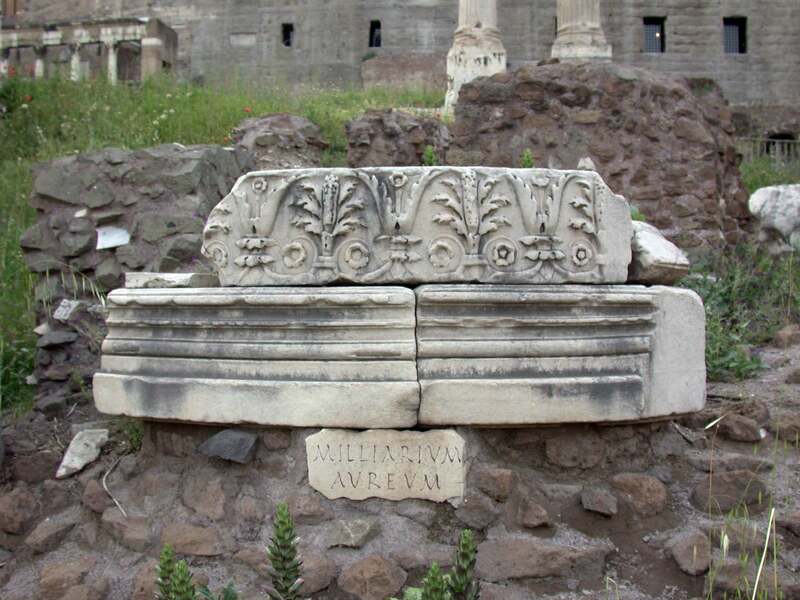 The Milliarium Aureum (or: Golden Milestone) was erected in 20 BCE by the Emperor Caesar Augustus. 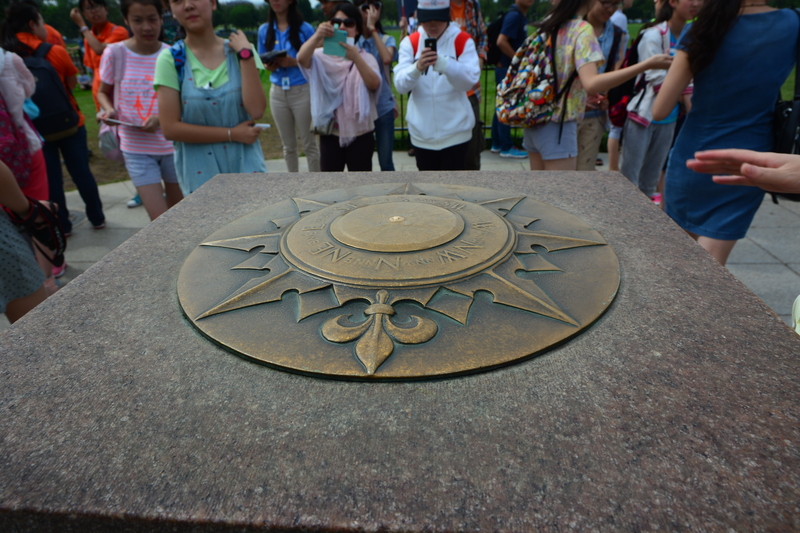 All distances in the Empire (to and from Rome) were measured relative to this single monument. 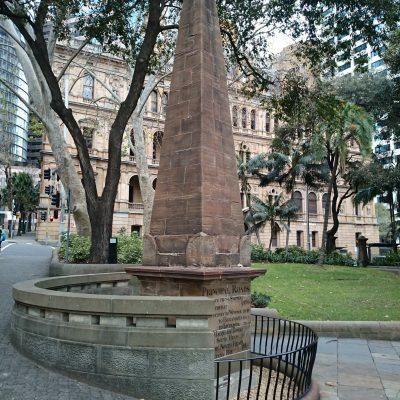 The monument itself is presumed to have been a work of marble or gilded bronze, but has since been lost to history. 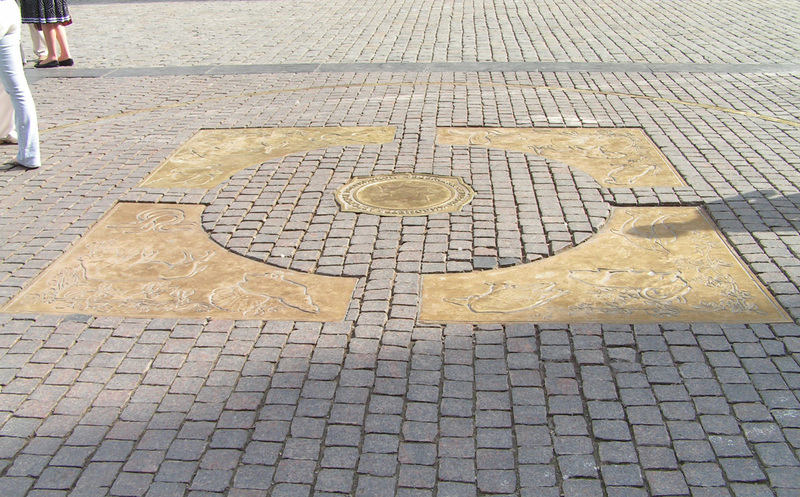 The idea of marking a central geographic position in major cities, however, has persisted for millennia across dozens of countries around the world (below: Tokyo, Japan; Sydney, Australia; Moscow, Russia; and Madrid, Spain). 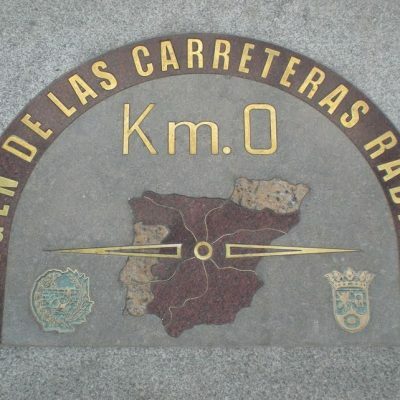 This type of spatial designation and its physical expressions are known by various names in different places, from “kilometer zero” and “point zero” to “zero stone” and “zero marker.” They can be inscribed plaques on walls or in plazas, or sculptures and obelisks. Many have been (and some continue to be) used to measure distances within a city or across a country, usually starting in the capital. They can give drivers a zero point for setting trip odometers and facilitate mile (or kilometer) markings for national highway systems. Indeed, in many cases where one might expect a highway sign to state the distance to the edge of a city, such signs are in fact specifying the distance to one of these precisely marked positions within a city. Carrying on this Roman tradition, the Byzantine Empire had its own zero-point monument: the Milion of Constantinople. Fragments of this edifice were rediscovered in Istanbul, Turkey in the 1960s and have been used to extrapolate renderings of the original structure. 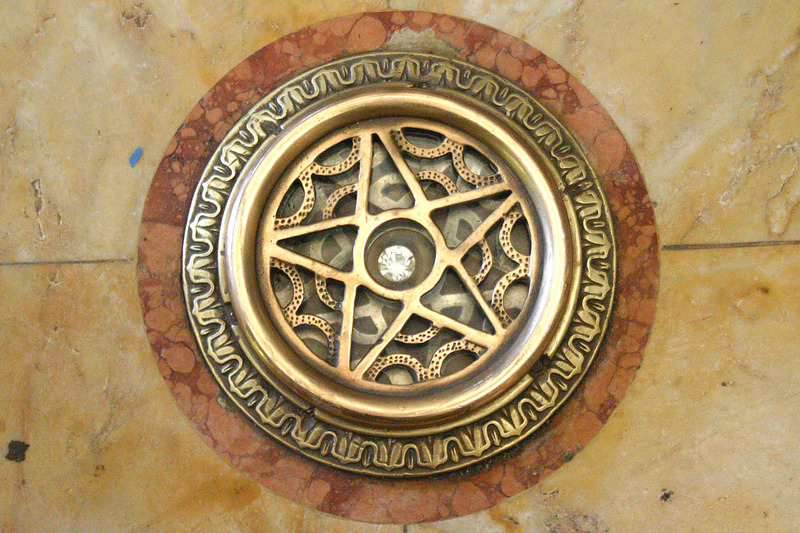 The London Stone, dating back to the 1100s and possibly of Roman origin, may also have served a similar purpose for England’s capital. Historians still debate its original function. 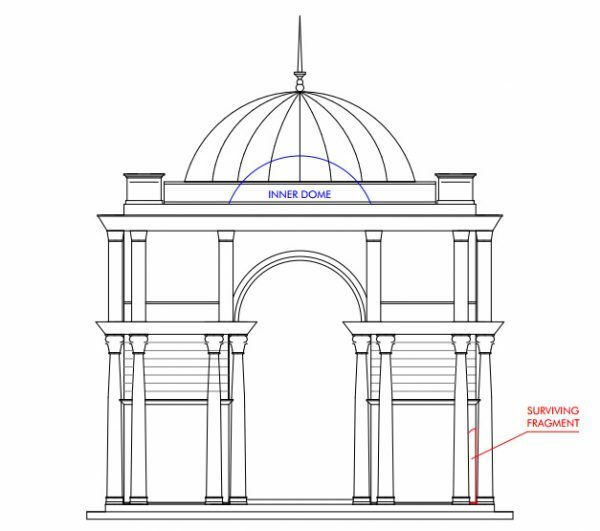 In more recent centuries, London has used Charing Cross as a central point of reference. 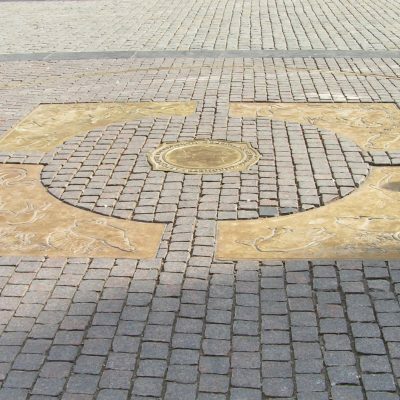 The location features a roundabout and statue that have been used as an origin point for distance measurements and have served as the city center in various other official ways. 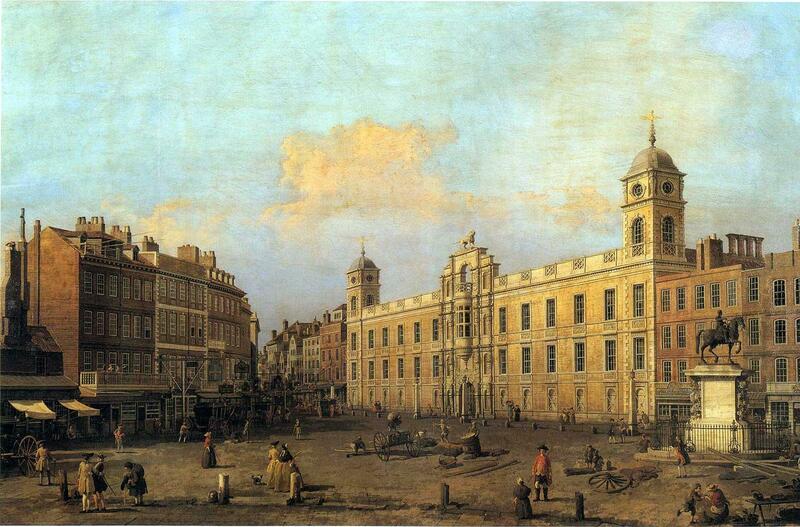 In the 1800s, a location’s distance from Charing Cross determined whether it could fall under the purview of the Metropolitan Buildings Office. 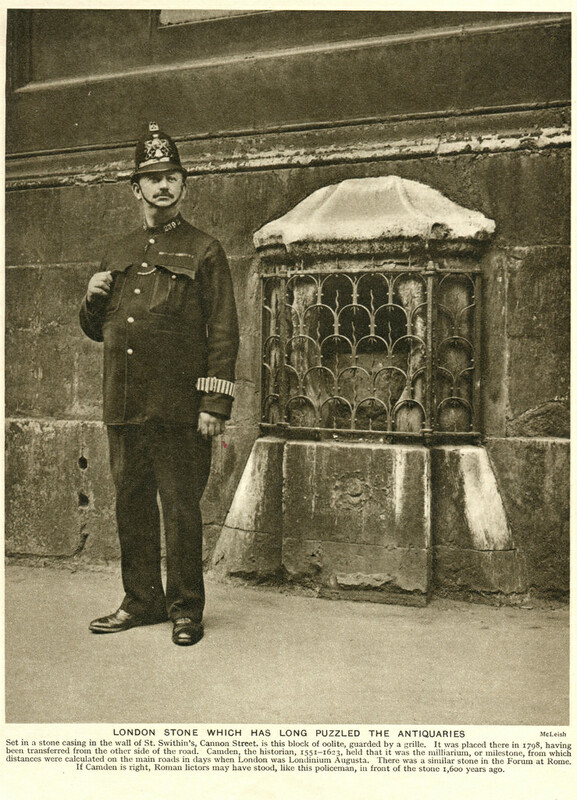 Initially, metropolitan police only served within a maximum radius of 12 miles from Charing Cross and carriage cab drivers were only obliged to take a fare up to a fixed number miles from that central point. Today, London cab driver knowledge is still tested as a function of distance from Charing Cross, covering 6 miles in any direction. 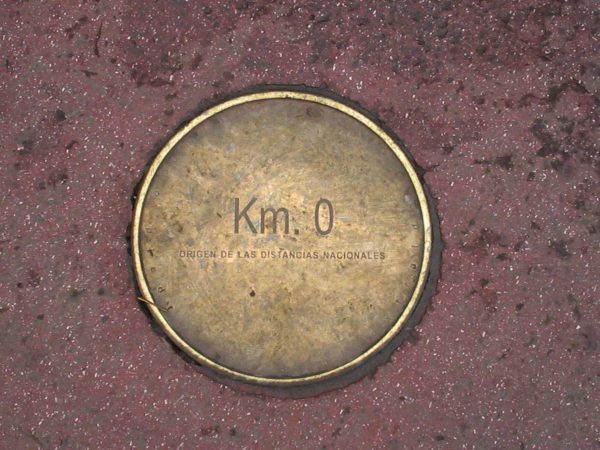 Aside from a small plaque, though, it would be hard to know Charing Cross was London’s zero point. In many other countries, zero markers are made to stand out in more grand and explicit ways. In Budapest, Hungary the kilometer zero stone used for country-wide measurements is big and literal. 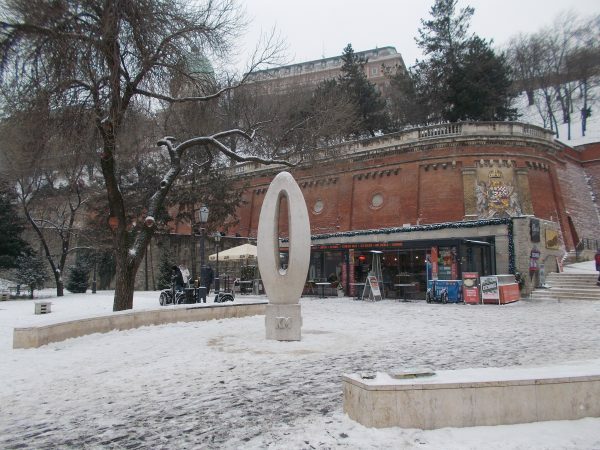 The sculpture is shaped like a giant zero, stands nearly ten feet tall and has “KM” inscribed on its pedestal. In Havana, Cuba the National Capitol Building featured a very precious zero stone in the form of a 25 carat diamond. 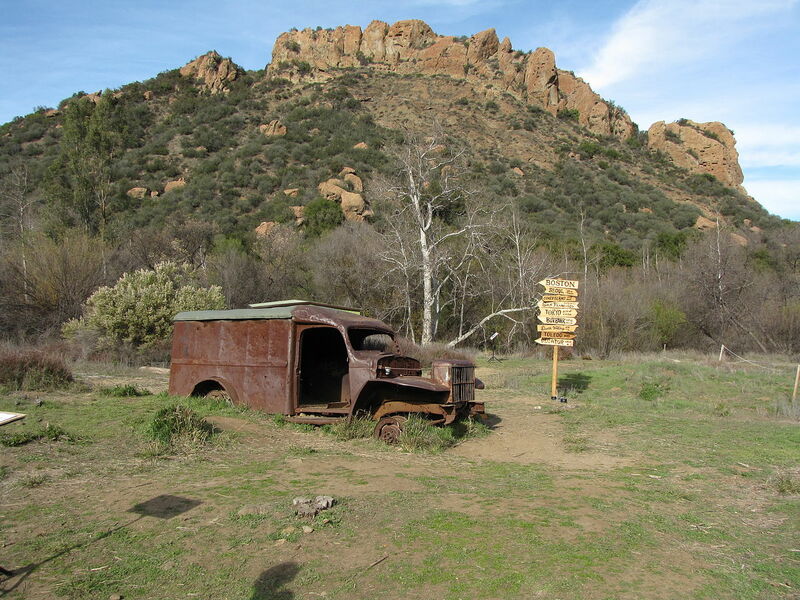 After it was stolen in the 1940s (despite it later resurfacing), a replica stone now sits in its place. 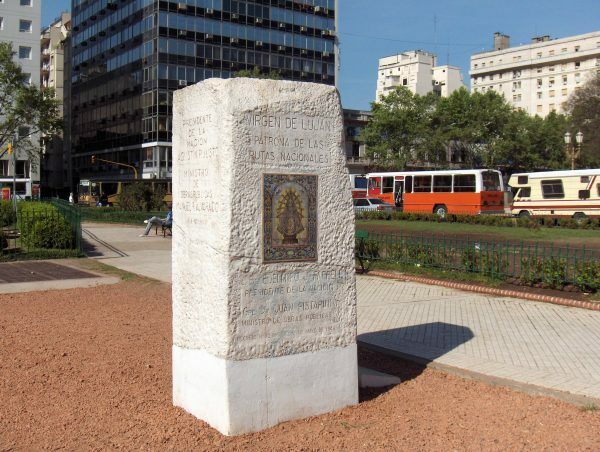 In Buenos Aires, Argentina a zero stone monolith stands in the Congressional Plaza. It features an image of Our Lady of Luján (honored as the “Patron Saint of the National Road Network”). 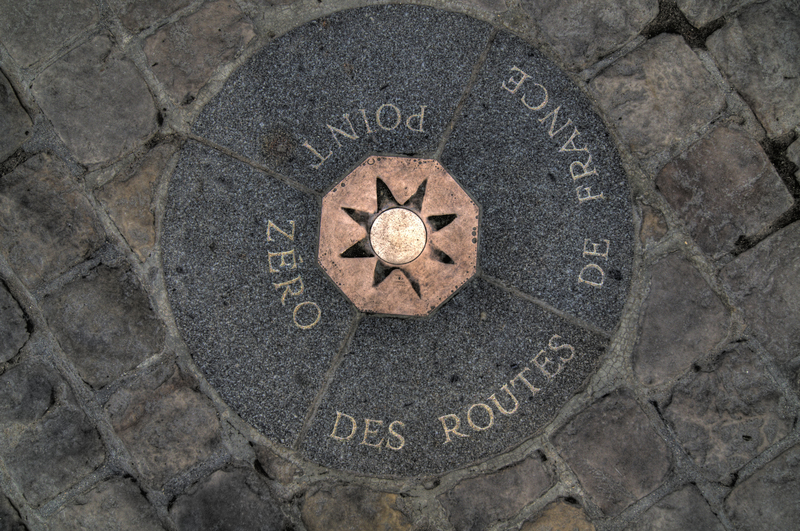 In Paris, France a point zero plaque in front of Notre-Dame Cathedral, is a popular destination for odd tourist rituals (like spinning in place, kissing or tossing a coin on the marker), in addition to being the spot from which national highways are measured across the country. In Washington, D.C. the Zero Milestone was created in the 1920s just south of the White House in President’s Park, its architect inspired by Rome’s ancient Golden Milestone. 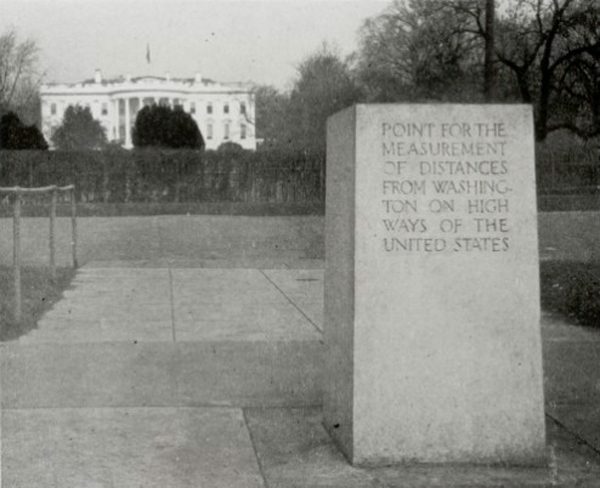 Despite its inscribed intent as the “point of measurement of distances from Washington on highways of the United States,” roads outside of the District of Columbia do not reference this monument. Indeed, most US mile marker and distance systems reset from state to state, and signs for intercity travelers follow no single national convention. 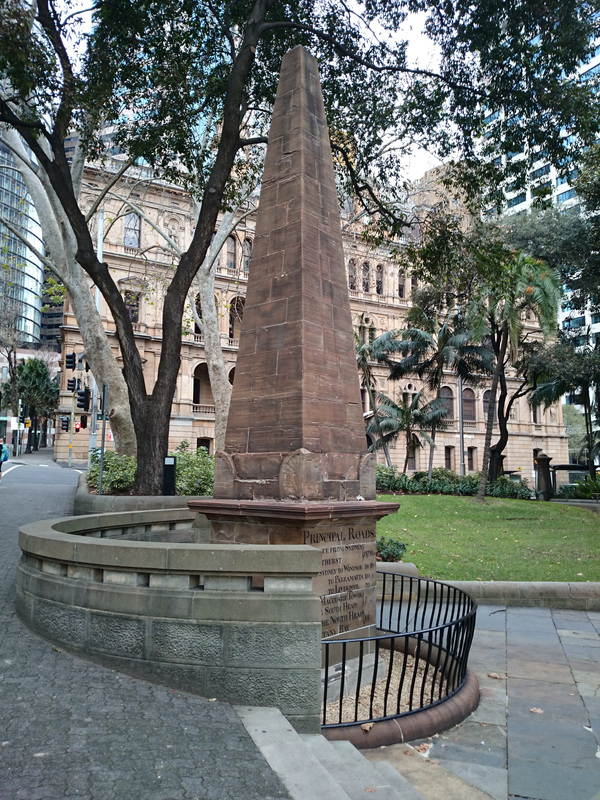 In our GPS-driven era, there is little need for physical monuments to denote central locations, but center points still retain some allure. Their mystique may explain why one Californian city recently (if somewhat inexplicably) sought to locate and mark its own geographic center. “It’s important to know where the center of the city is,” Nuru said, although when asked to explain why, he said he didn’t really know. After thinking it over, he suggested that once you know where the center is, you can tell how far some other place is from it, although he added that he didn’t know what that was good for, either. Aside from uncertain motivations, there were a number of challenges along the way. Figuring out the center of the city involved deciding what to include. Factor in Treasure Island and the center shifts east … or count the Farallon Islands and it winds up underwater. Speaking of water, the center of land area changes as tides ebb and flow, too. 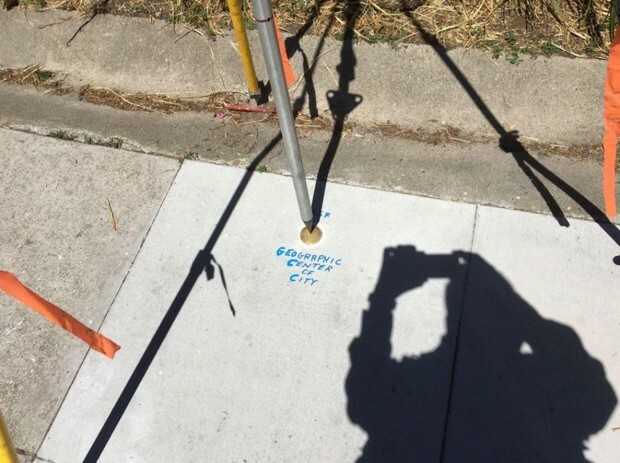 If it seems fortuitous that the point identified by the responsible surveyors fits neatly into a neighborhood sidewalk … well, that is also a bit of a stretch. The actual center, according to a high-tech gizmo and over a dozen satellites, actually sits in the bushes nearby. Nonetheless, they installed a brass disc in fresh cement and called it a day; this marker was promptly stolen within 24 hours. 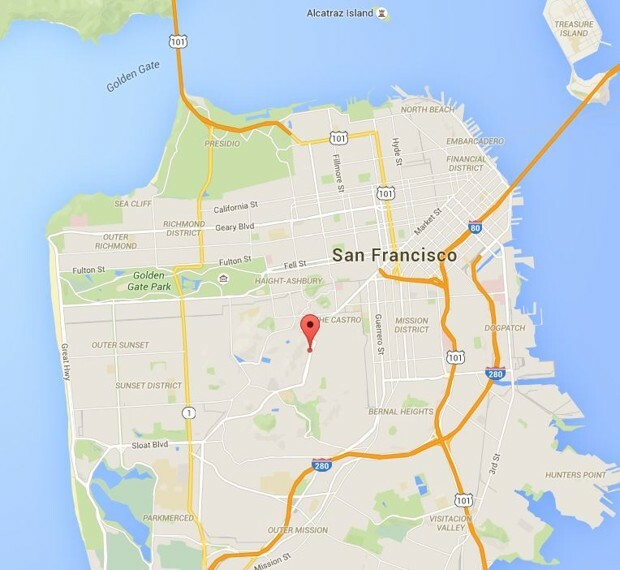 There are likely a number of lessons to draw from the San Francisco center fiasco. 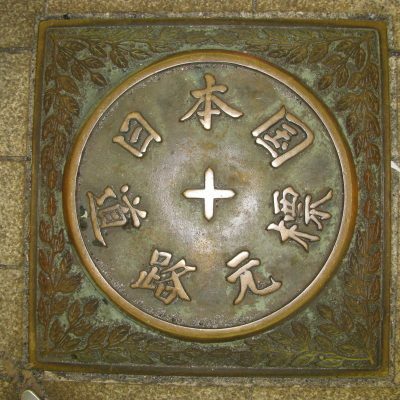 Certainly, cities tend to fare better with their centering endeavors when they select a more sturdy type of marker. Perhaps more importantly: the process is simpler, easier and probably better when someone simply decides on (rather than trying to find) a center. Question: What are the U.S. host country obligations with respect to sanctioned foreign nationals traveling the United States for the UN General Assembly? What kind of restrictions can be put in place on people that are on sanction lists? Can they not stay in U.S. owned hotels? Do U.S. businesses have obligations? They don’t use the United Nations building itself, would be more obvious. 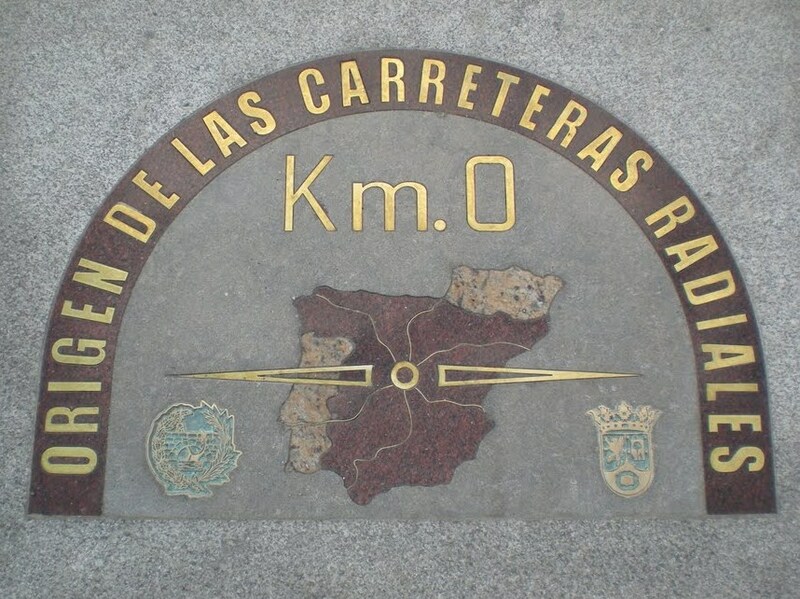 Nor do they use the geographic center of the city or the island. The configuration they use, however, does include Newark Airport. You forgot the ultimate center –– the center of the universe In Tulsa, OK (https://www.google.com/maps/place/Center+of+the+Universe/@36.1568893,-95.9920791,19z/data=!3m1!4b1!4m5!3m4!1s0x87b6eb82821d7b43:0xa2fbfaea775fca17!8m2!3d36.1568893!4d-95.9915319) Like the eye of a hurricane, nothing is going on there. This made me think of the center of Chicago’s grid: State and Madison. 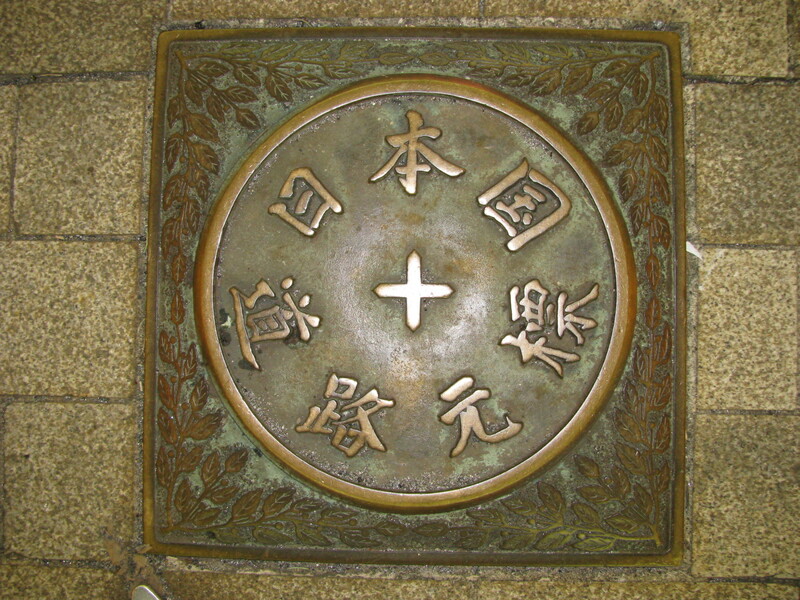 State Street marks the east-west boundary and Madison is the north-south. Other US cities seem to carry on this sort of action for measuring distances. Salt Lake City comes to mind. Here the center is State and South Temple. What makes Salt Lake more interesting is the address system. Different from Chicago where all even addresses are either on the north side of the street or the west side of the street, in Salt Lake, odd numbered addresses are on the left side of the street. That means 317 N State is in the west and 317 S State is in the east. Weird huh? This article also brings up Washington DC with a stone marker for the mileage of highways but doesn’t account for the address system center which is the Capitol Building. Our GPS mapping systems lie to us when they say E Capitol St SE because that is traditionally the way the streets are laid out. No, the street actually says E Capitol St because it is marks the east-west axis. So what is the deal with Washington DC?